This message is from Anne Frances, lead botanist at NatureServe, concerning a new presidential task force on pollinators. The US Federal Government recently announced listening sessions related to the new Presidential Task Force on pollinators. The second and final session is this Monday, November 17th, from 1-3pm eastern standard time. You can attend in-person (near University of Maryland College Park) or you can join via webinar. I have included the full announcement below. I would encourage anyone interested in plant conservation to participate in this event and / or submit written comments by November 24th. The reason is that the Pollinator Health Task Force recommendations specifically mention the use of native plants and native plant materials. 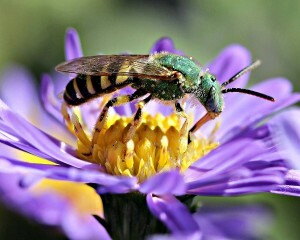 NatureServe was invited to submit a written response to the proposed Task Force in May—you can see our response online http://www.natureserve.org/news-events/news/confronting-plight-pollinators or below. I’ve also included the link to the Presidential Memorandum and excerpted the section that pertain to native plants. Please contact me directly (anne_frances@natureserve.org) if I can help answer any questions.